"Stop Unjust Execution of Shia Cleric Ayatollah Sheikh Nimr Baqir al-Nimr by Saudi Government, and Immediate Release Him from Imprisonment." 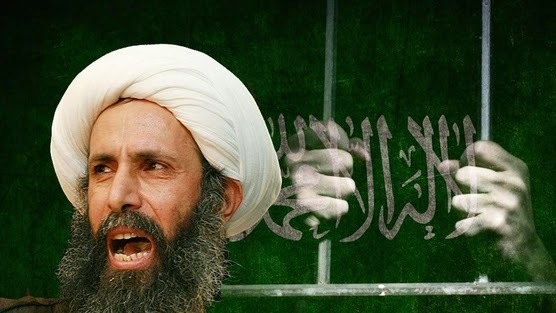 Al-Nimr is one of Saudi Arabia’s most prominent and respected Shia clerics, who for the past 10 years has been an ardent critic of the kingdom’s autocratic rulers. He has consistently championed the democratic rights of ordinary Saudis, defended the thousands of political prisoners rotting away in Saudi dungeons, and has called for the end of absolute rule under the self-styled House of Saud monarchy. In particular, Sheikh al-Nimr has highlighted the chronic injustice against the Saudi Shia population, who form a majority in the country’s oil-rich Eastern Province but who have endured decades of poverty and oppression under the Wahhabi House of Saud. 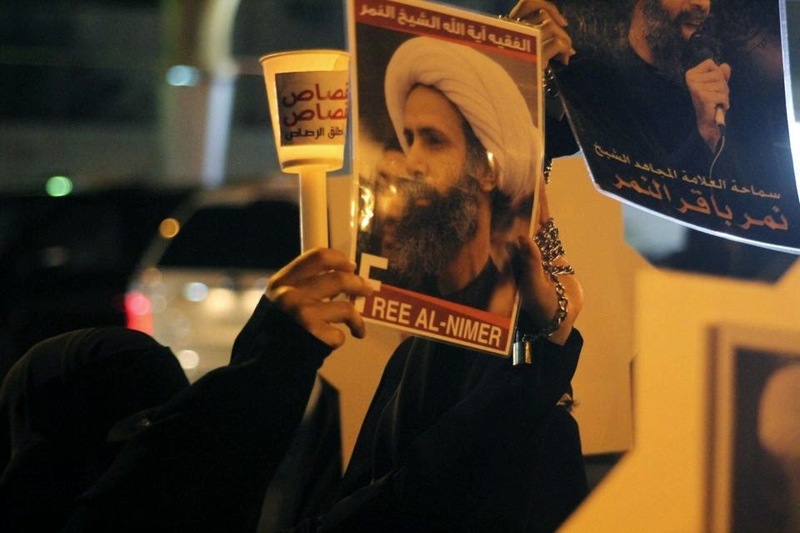 At no time in his years of campaigning for justice has Sheikh Al-Nimr advocated violence. He is on record for explicitly condemning violence and has urged followers to use the “roar of the word” to challenge Saudi despotism. In other words, his only “crime” is that Sheikh al-Nimr has eloquently exposed the oppression and corruption of Saudi rule under a dynastic, backward family. He has also denounced the illegal occupation of Bahrain by Saudi forces since March 2011, when they were sent into the neighbouring island state to crush a pro-democracy movement there and bolster the Al Khalifa regime, which is a surrogate of the House of Saud. 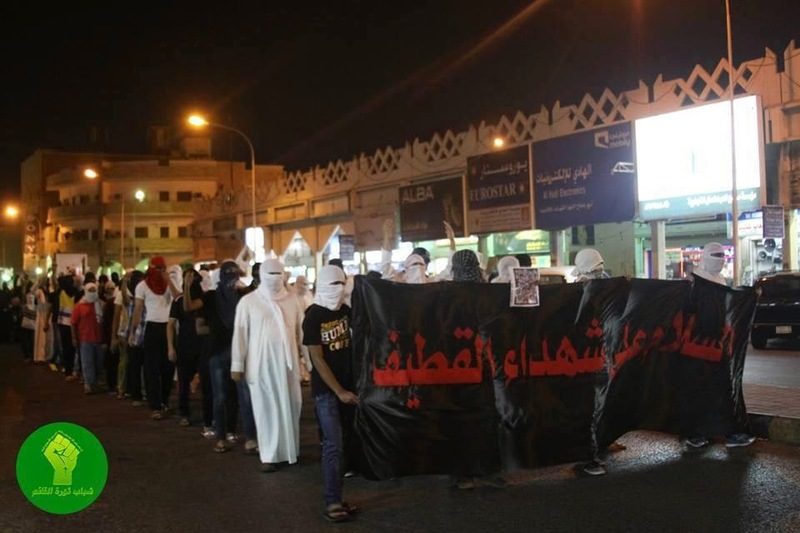 Western patronage has also been a lynchpin of the Al Khalifa dictatorship in Bahrain. In July 2012, al-Nimr was ambushed by Saudi military police while travelling in a car near his native Qatif in Eastern Province. He was shot four times in the leg. The Saudi authorities claimed that the incident was a shoot-out - a claim that the cleric’s family strenuously deny and which is wholly inconsistent with his peaceful political activism. Of course it is a smear, aimed at justifying his subsequent persecution. The Saudis also claim that al-Nimr is a “fifth columnist” for Shia Iran - another risible slander - aimed at obscuring the real nature of massive injustice in the oil-rich kleptocratic kingdom. Now, after months of being tortured in solitary confinement and denied any legal defence, the cleric is to be executed.